Good morning! Let me preface to say that I had absolutely zero plans of blogging this ‘recipe’. I knew I was going to have a little bit of leftover Crock Pot Teriyaki Pork from the recipe I shared yesterday, so I planned on incorporating it into some type of sandwich for the next night’s dinner. YOU GUYS. These little sandwiches turned out SO SO SO good! Oh my gosh! We were oooohing and ahhhhhing the whole time we ate! After 1 bite I decided I had to post the recipe here. If nothing else, so I will remember how I made them next time I have leftover pork or chicken LOL! 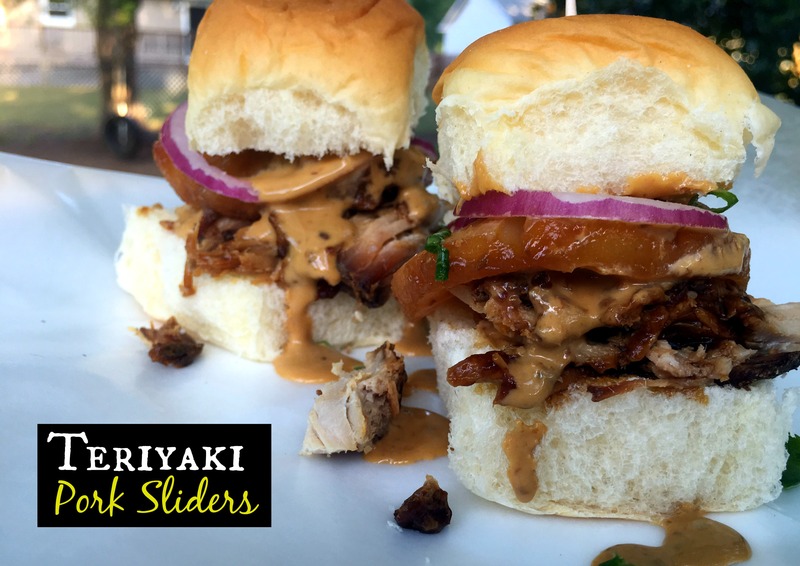 Y’all, if these Teriyaki Pork Sliders are wrong I don’t want to be right. Soak the pineapple in teriyaki sauce, grill if desired and set aside. Combine equal parts mayonnaise and teriyaki sauce in a bowl. Stack some pork on the bottom bun, followed by some of the teriyaki mayonnaise. Top with a pineapple slice, some red onion. Add the top bun and serve!